History comes alive at the Crowne Plaza Key West - La Concha. Carl E Aubuchon built this Key West landmark, first opened in January of 1926, to provide the city with a "first class hotel." The newest hotel on the island had marble floors, private baths, elevators and other luxuries that were new to Key West accommodations. It was no surprise that the hotel was an immediate success with wealthy industrialists, visiting dignitaries, and high society. In fact, when the president of Pan American World Airways, Juan A. Trippe, announced the beginning of service between Key West and Cuba in 1927, he located the first office in the hotel. During this time, rum-running thrived, the sponge-gathering and cigar-making industry was booming and warm weather tourists from the mainland were being delivered by the hundreds to Key West by Henry Flagler's Overseas Railroad. The stock market crash of 1929 hit Key West hard and suddenly it was one of the poorest cities in the United States. 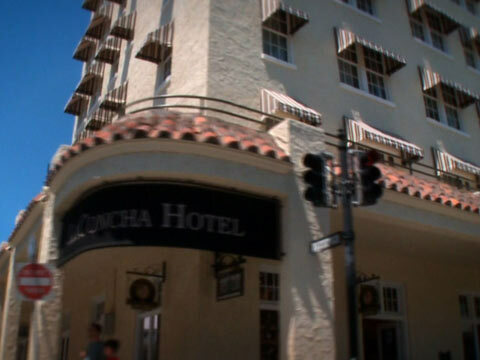 In 1930, because of financial difficulties, the hotel changed ownership and changed it's name from "La Concha" to the "Key West Colonial," although the natives still called it by its original name. Although the start of construction on the Overseas Highway improved the flow of visitors to the area, the Labor Day Hurricane of 1935 damaged major parts of the highway and the Overseas Railroad and Key West was cut off from the mainland once again. The hurricane ended the Key West extension of the railroad and its bridge pilings and railway track beds became a part of the Overseas Highway, more commonly known as U.S. 1. Through it all, the La Concha survived and played host to its share of famous personalities. Ernest Hemingway, a name synonymous with Key West, stayed at the hotel and his protagonist in the acclaimed To Have and Have Not makes reference to La Concha's landmark tower as he sails from the island. Another Pulitzer Prize winning author, Tennessee Williams, finished the play "A Streetcar Named Desire" (for which he won the prize) here. In his words, "We arrived in Key West and occupied a two-room suite on the top of the Hotel La Concha and it was there that I really began to get Streetcar into shape. It went like a house on fireâ€¦" The rest is Broadway and movie history. The next 30 years saw the hotel fall victim to age and newer and glitzier hotels and resorts. By the early 80s, the only part of the hotel still open was the rooftop bar (for the history of rooftop bar, click here). The remaining rooms had been boarded up and were now occupied only by pigeons and the occasional vagrant. That all changed when architect Richard Rauh was hired to save the faded gem. Working only from old photographs, interviews of longtime residents about what the hotel once looked like, and stripped layers of wallpaper and panels, his crew painstakingly restored the La Concha to its former glory. The multi-million dollar, award winning project re-opened in 1986, this time with a new coral-pink exterior replacing the drab mustard-yellow look it once sported. When the hotel first opened, an article in the January 20th, 1926 edition of the Key West Citizen proclaimed "The roof of the Hotel La Concha has already become popular on account of the fine view that one can get of the entire city and surrounding gulf and ocean...In the distance are the towers, boats in the harbor, boats passing, the old fort, the sun shining down on the surrounding waters, and many other beautiful pictures made picturesque from that height." Storm damage to the 7th floor in September and October of 1948 forced repair of the rooms on that floor. In order to show the public that the damage was minimal, the hotel introduced a "penny cocktail hour" each evening. The popularity of the event led the hotel to realize they had not capitalized on the view from the top of the hotel. The opening of "The Quarterdeck" was announced in September of 1949 with an ad for "Dancing under the Key West stars with the lights of Key West and The Naval installations far below...a tropical moon...a sip of Cuban rum...a low rumba...all in the atmosphere of a Naval shop from quarterdeck to poop deck to bridge." When you stay at the Crowne Plaza Key West - La Concha you will feel all the history that surrounds this beautiful Key West hotel. Even its location between Duval Street, Key West's most famous, and Whitehead Street, is right in the heart of the Historic district; just a short stroll from Fort Zachary Taylor, the Lighthouse Museum, Mel Fisher's Treasure museum, and Mallory Square. It's Key West at its best! Newly renovated and elegantly appointed guest rooms, including one-bedroom suites, combine the authentic style of the 1920s with luxurious comfort. Our second floor guestrooms offer spacious walkout balconies overlooking the famous Duval Street. An array of modern amenities abounds, including voicemail, daily delivery of USA Today newspaper, coffee makers with complimentary coffee and tea, and the Crowne Plaza Sleep Advantage Program. Wireless high speed Internet is available in the lobby. Complete meeting and banquet services are available featuring high speed wireless Internet connections in all meeting locations. Consider "The Top" for a sweeping view of Key West, the Island Room for a more intimate meeting, and our multi-level decks for a festive, outdoor gathering. Our Crowne Plaza Meeting Director, your single point of contact is committed to your event, from start to completion. The Seventh Floor of the Crowne Plaza Key West - La Concha has been one of the most famous spots in all of Key West ever since. Best known for the fabulous front row seat it offers to Key West's magnificent sunsets, there is not better spot to get a bird's eye view of paradise. Come and enjoy the view from the highest point anywhere on the island.